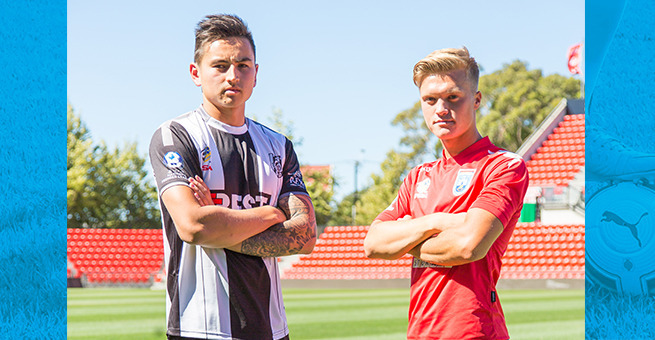 Adelaide City and White City meet tonight at Adelaide City Park in Round 2 of the PlayStation4 National Premier League. Both teams played tough games to start off the season and despite neither starting as planned, both teams are hoping to make a difference at tomorrow’s night match. Round 1 kicked off last week with Adelaide City playing a hard-hitting game against Adelaide Blue Eagles, going down 4-1 in front of a home crowd. Playing at Oakden in the Round 1 match, Adelaide City’s Nicholas Bucco was disappointed to start off with a loss. “It was a pretty even game but the lack of passes during the first half was frustrating, but I was glad that changed during the second half’”. Adelaide City managed to make a comeback after the first half of the game, evening up the score to 1 a piece which Bucco credits Marco Mittiga for giving the boys some momentum. Bucco notes that training this week has been strict. White City played an exciting game against rival team Raiders at the Croatian Sports Centre in Round 1, finishing with a 2 all draw. White City started the game with a lead goal from Hermann Fombason but only for Raiders Elvis Kamsoba to score an equaliser. White City skipper Michael Keens was disappointed not to claim maximum points. “I was disappointed not to take the 3 points from the start, but it wasn’t the worst start to the season, though neither was it the best”. “Another big test is on the way and once again we are playing away from home. Raiders are a tough team but were hoping to leave the game with a win”.